NOTE: The steps below are only applicable to MODX 2.x. Log out of the MODX Web-based administration panel if you are currently logged in. Download the latest version of MODX from the official website. Merge (don’t overwrite) the new MODX files with the existing files using rsync and update their permissions. Note that the core directory is to be placed in a different location in the Bitnami MODX stack and is therefore copied separately. You should see a warning screen like the one below. Set the MODX_CORE_PATH variable to /opt/bitnami/apps/modx/core and submit the new value. Proceed through the upgrade process. Remember to select the “Upgrade Existing Install” option on the “Install Options” page. 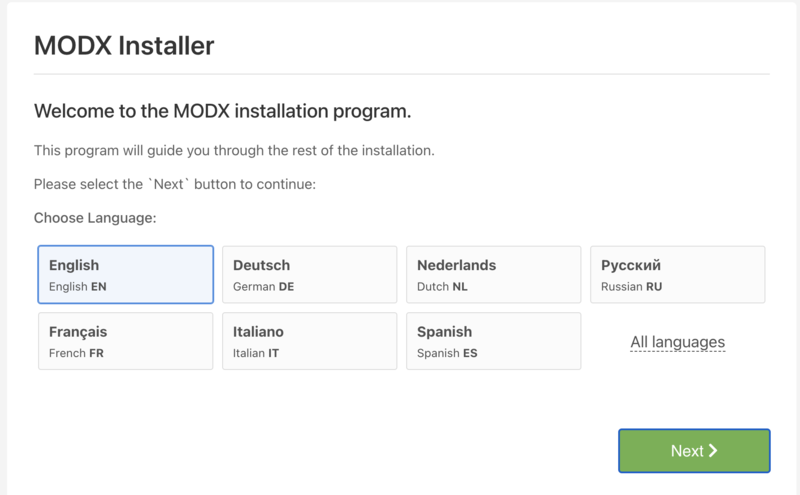 NOTE: If the “Upgrade Existing Install” option is not available, refer to the MODX upgrade troubleshooting instructions. 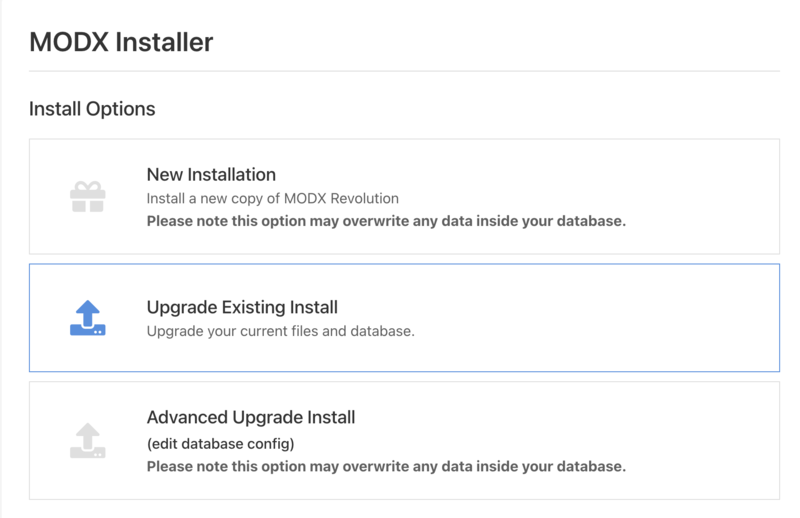 Avoid selecting “New Installation” on this page as doing so will overwrite all your existing MODX data. 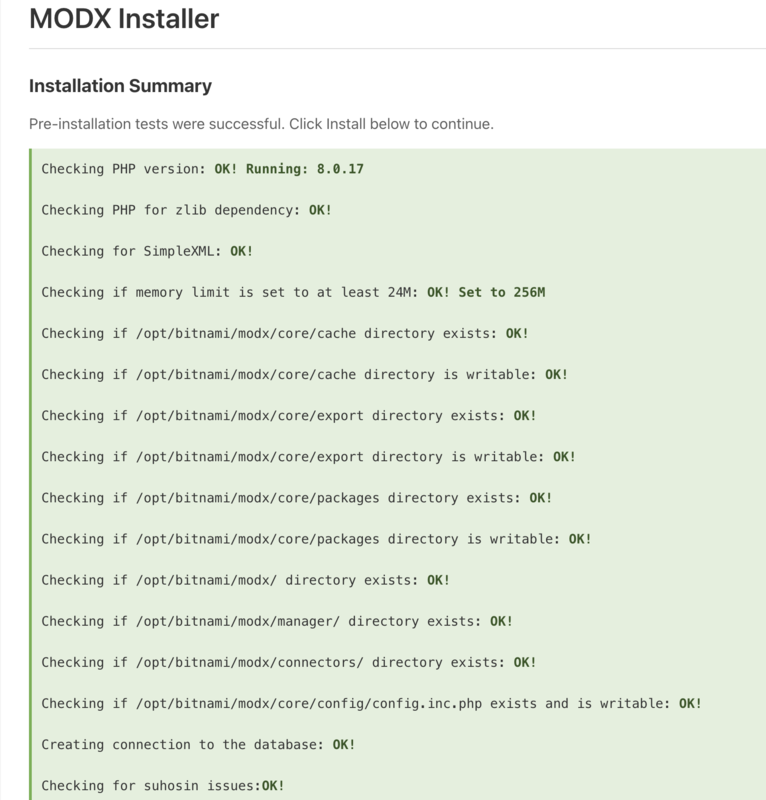 On the “Installation Summary” page, ensure that all checks are passed. In case of errors, refer to the MODX upgrade troubleshooting instructions. If all checks pass, click “Install” to proceed. 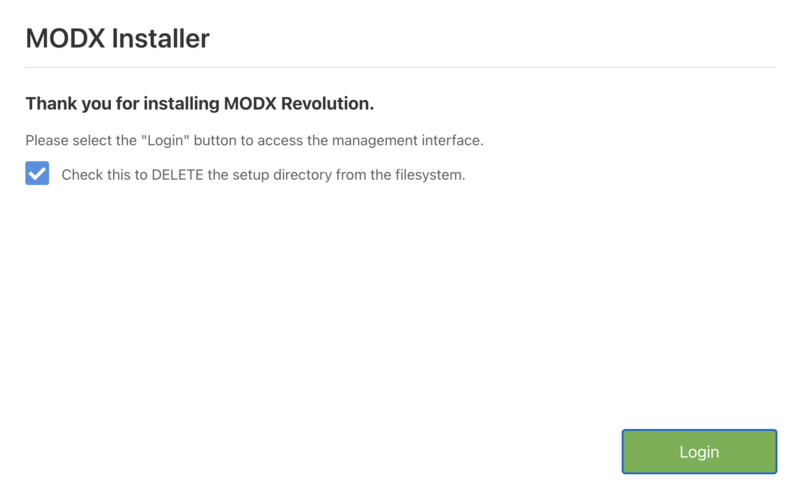 Once installation is complete, check the box to delete the setup/ directory and log in to MODX again to access the upgraded version. NOTE: It is important to verify that the setup/ directory has been deleted. If not, delete it manually.